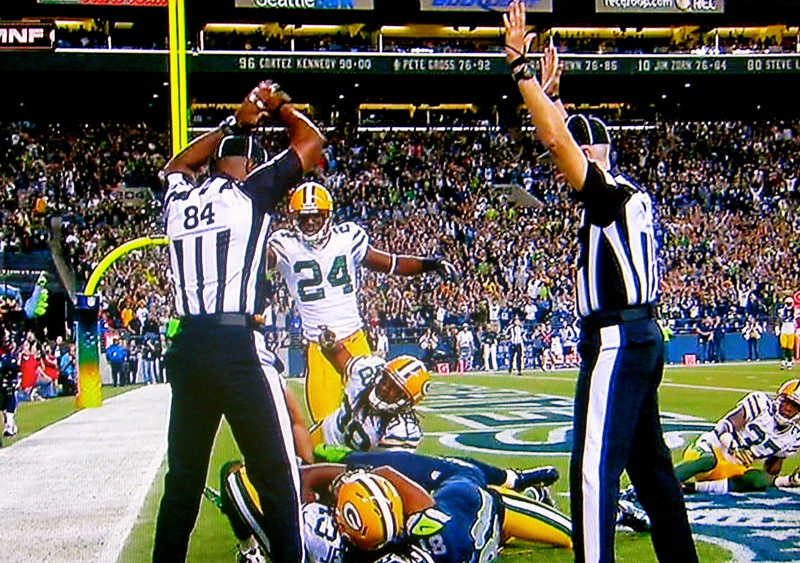 Whenever the Seattle Seahawks and Green Bay Packers get together in Seattle, it is hard not to envision the legendary Fail Mary game from the 2012 regular season. Since that time, everyone has grown up and so has this budding rivalry. The Seahawks and Packers meet on Sunday for the NFC title (and for the second time this season) with a Super Bowl XLIX appearance dangling in the balance. The one-legged, future MVP Aaron Rodgers stands in the way of Seattle’s Legion of Boom moving one step closer to another Vince Lombardi Trophy. It should be total chaos as always in Seattle. Any way we can get the replacement refs from the 2012 game to perform the coin toss? On second thought, that may not be a good idea these days.